Biodiversity is a word we find in advertisements, books, speeches, magazines, newspapers… everywhere. And biodiversity is everywhere. But what does it actually mean? Is it a fancy word or is it truly important? What kind of relationship do we have with biodiversity? 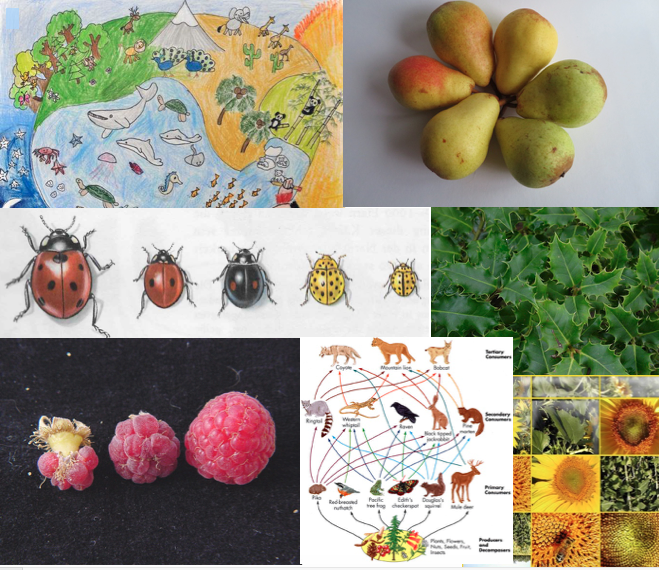 to achieve both a general and personal idea of biodiversity. There will be hands-on activities, interesting facts, probabilities and surprises in a fun and casual atmosphere. Sunburst Homestead hosts many different plants and animals and a huge amount of biodiversity. Born in the countryside and raised in a house with veggie patch, Orchard and flower garden her love for all creatures led Sabine to a doctor’s degree in veterinary science. Working with different species she realized that many animals get sick because they don’t live a healthy life. She started to provide workshops for pet owners offering information about healthy food and a suitable lifestyle for their animals. Going wild she started designing animal-friendly yards and gardens to help humans enjoy birds, bees, butterflies, reptiles and small mammals at home. Developing school and kindergarten grounds to habitats, adding nature to daycare year round and curriculum-related workshops are also part of her service. Processing plant and animal fibers from scratch is part of her journey of sustainability for decades. Sabine connects people and nature in distinct ways.